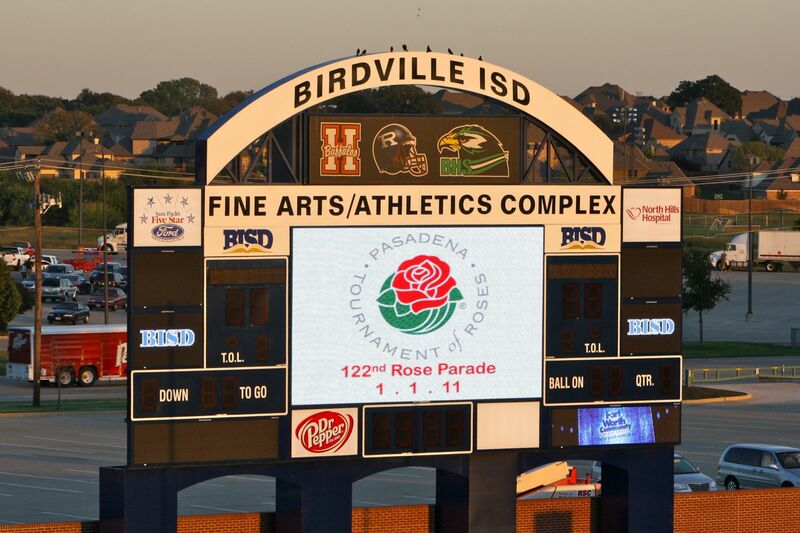 Sometimes it seems like we live in football stadiums! 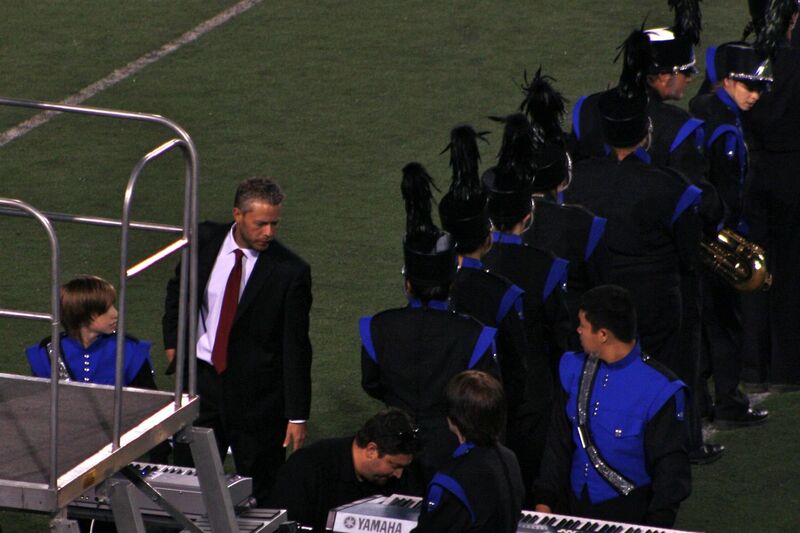 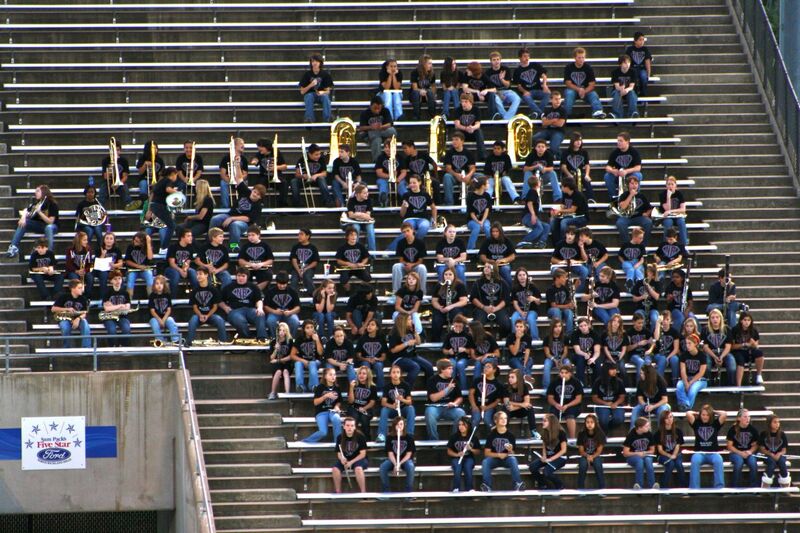 Between RHS and UT games and band contests, we end up spending a lot of our lives on an aluminum bleacher. 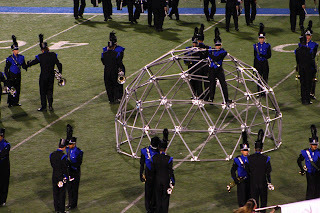 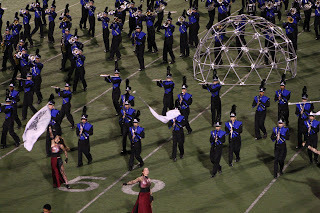 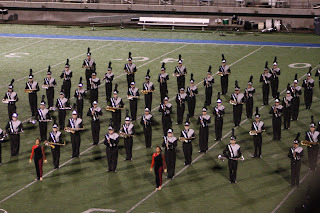 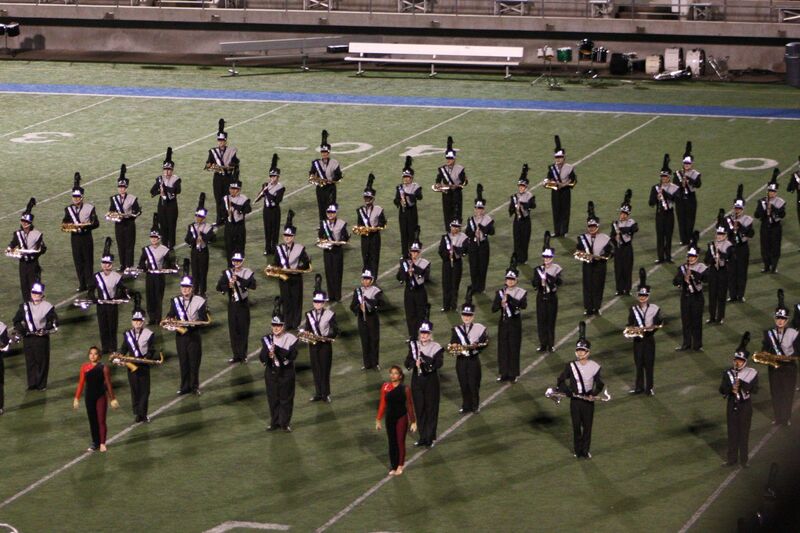 This time we were in our home stadium to Bandfest, a fundraiser for the district band's trip to the Rose Parade in California on 1-1-11. 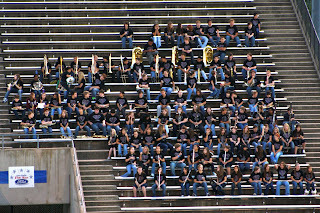 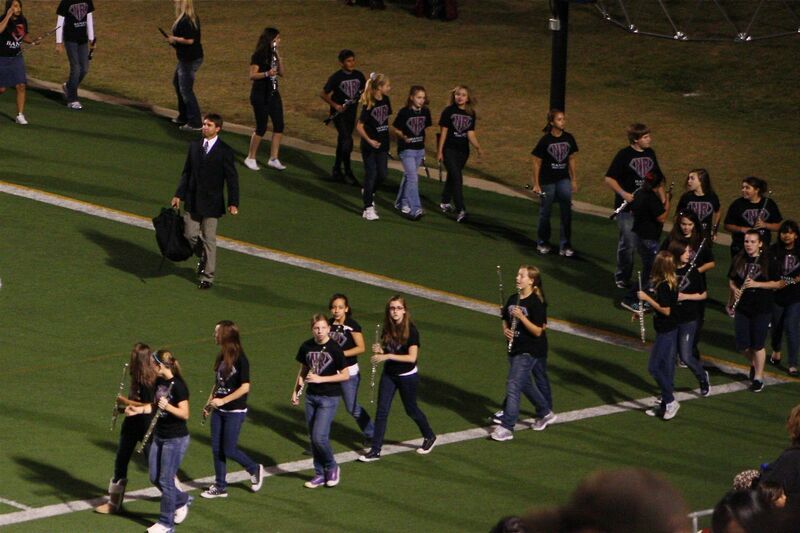 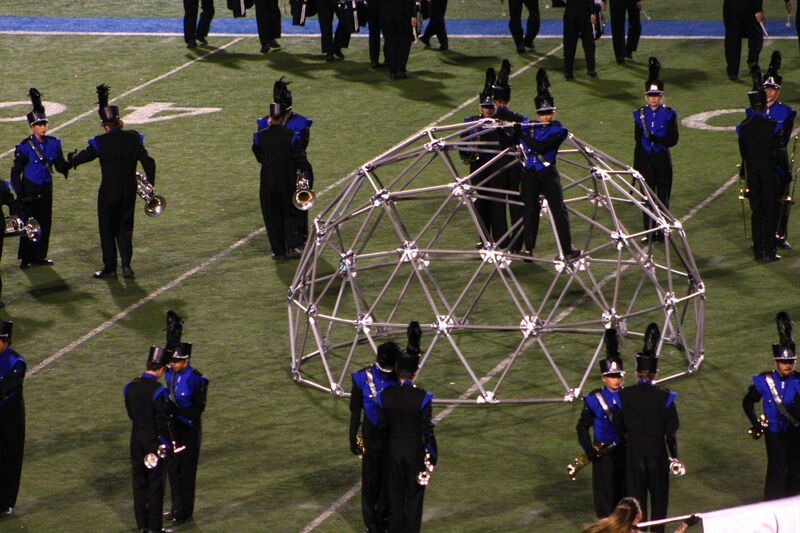 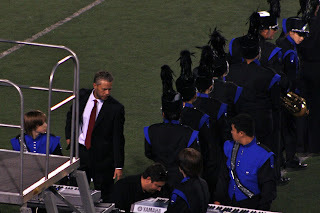 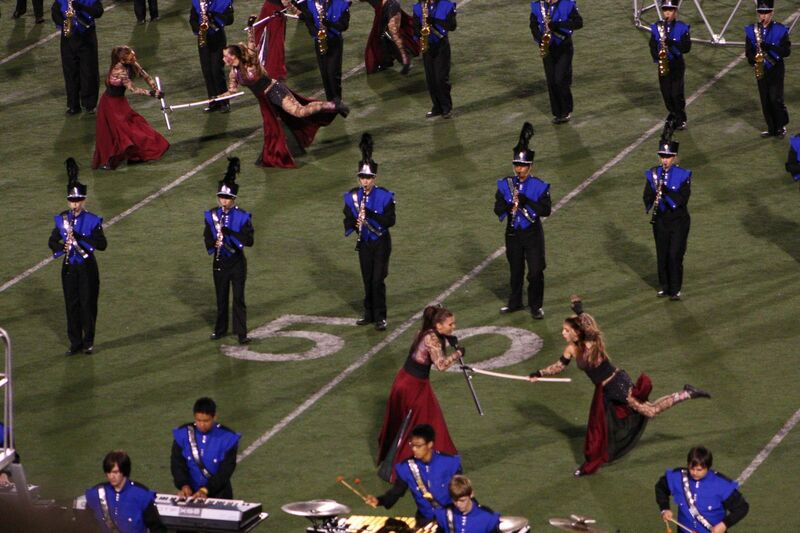 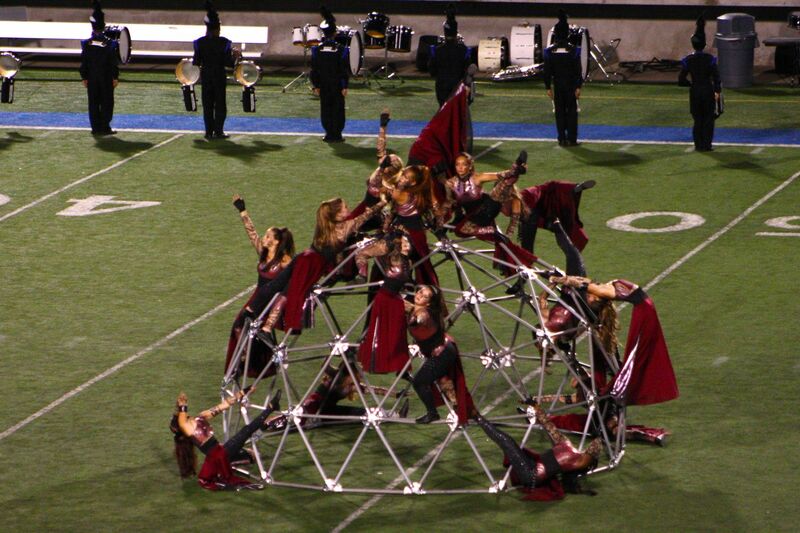 For this event, the middle school bands were in the stands and later joined the high schoolers on the field. 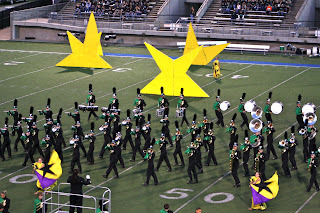 It was cool to see the three shows. Of course, we were partial our own RHS's Distant Shores. 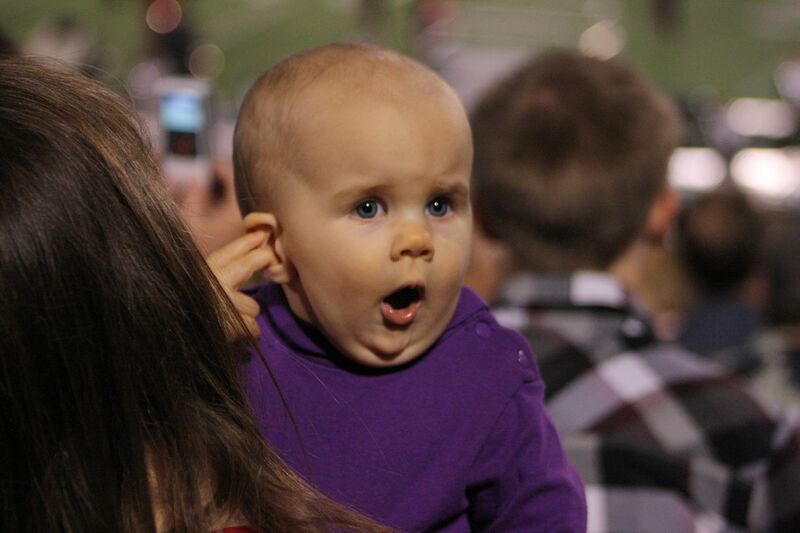 This little buddy didn't seem to care for or about any of the bands! For the grand finale, Katie and the other middle schoolers came out on the field to join the high school bands, including Ryan. 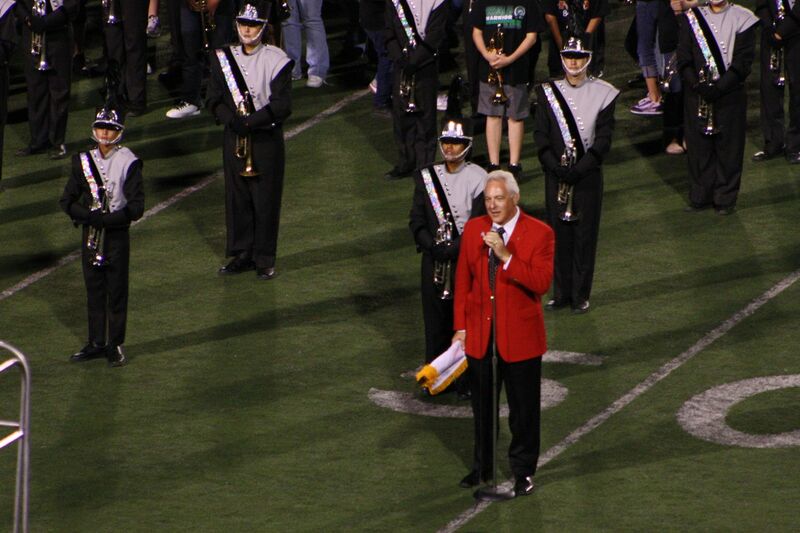 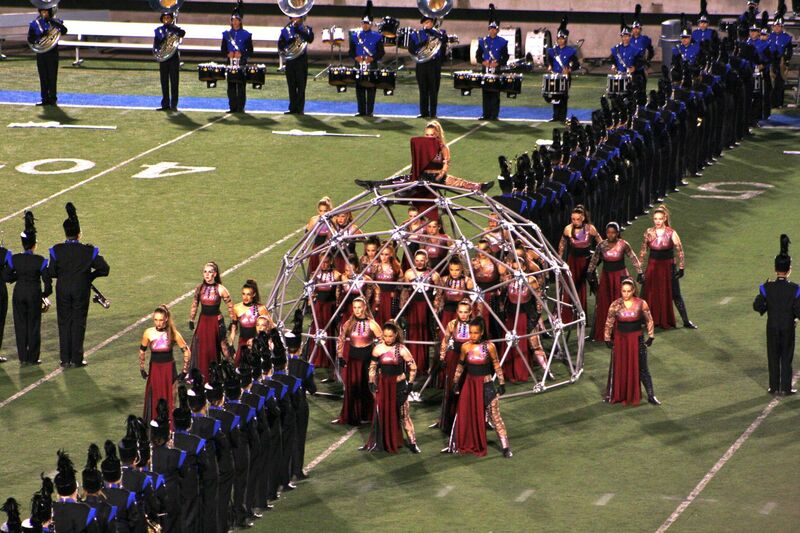 A Tournament of Roses rep spoke to everyone about what an honor it is to be invited to perform in the big parade. 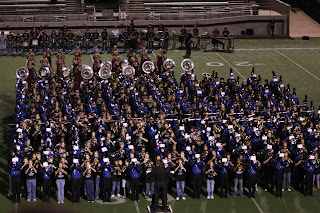 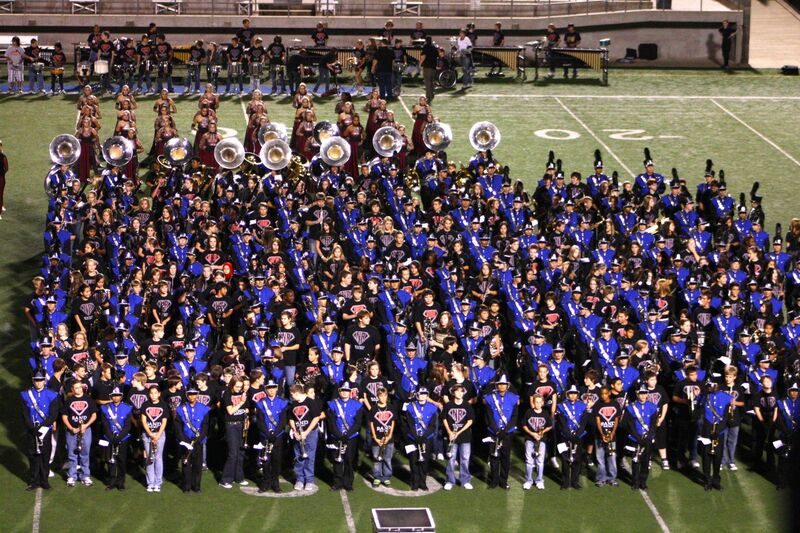 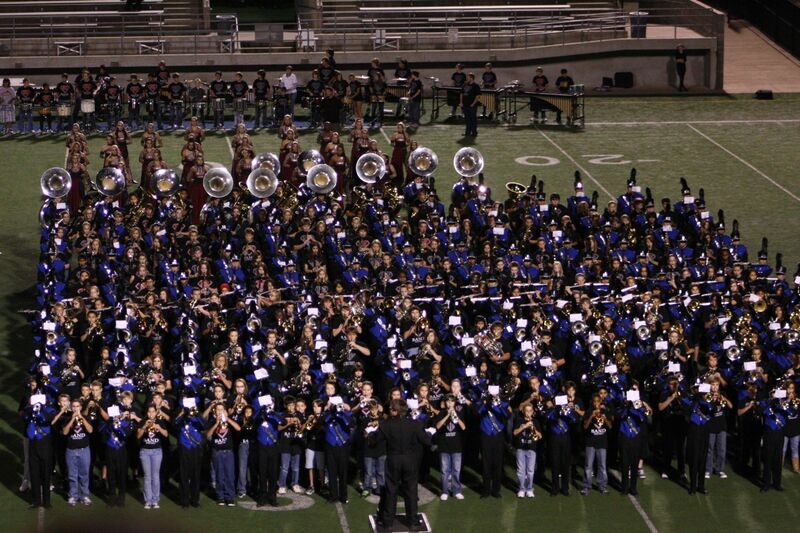 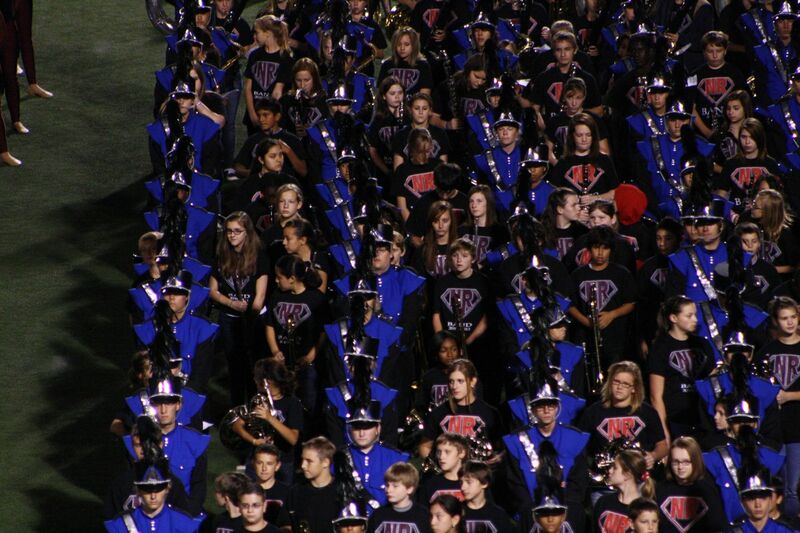 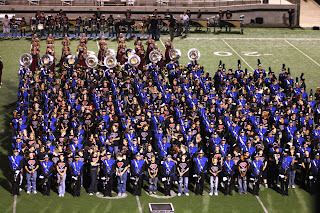 Here's the RHS cluster: the high school band with the two feeder schools, too. 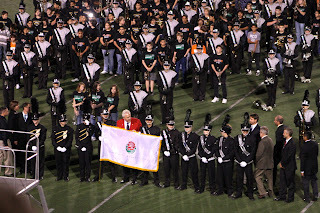 It was a festive night for marching music, but it was really a rosy pre-show celebration of our big band's parade appearance. 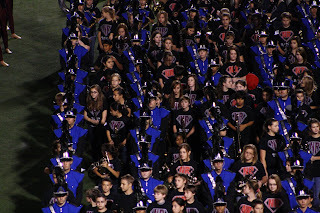 Fun stuff!